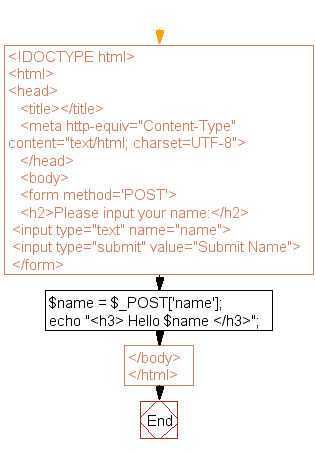 Create a simple HTML form and accept the user name and display the name through PHP echo statement. HTML form: A webform or HTML form on a web page allows a user to enter data that is sent to a server for processing. Forms can resemble paper or database forms because web users fill out the forms using checkboxes, radio buttons, or text fields. For example, forms can be used to enter railway or credit card data to purchase a product, or can be used to retrieve search results from a search engine. Previous: $var = 'PHP Tutorial'. Put this variable into the title section, h3 tag and as an anchor text within an HTML document. 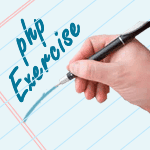 Next: Write a PHP script to get the client IP address.